Ovid. 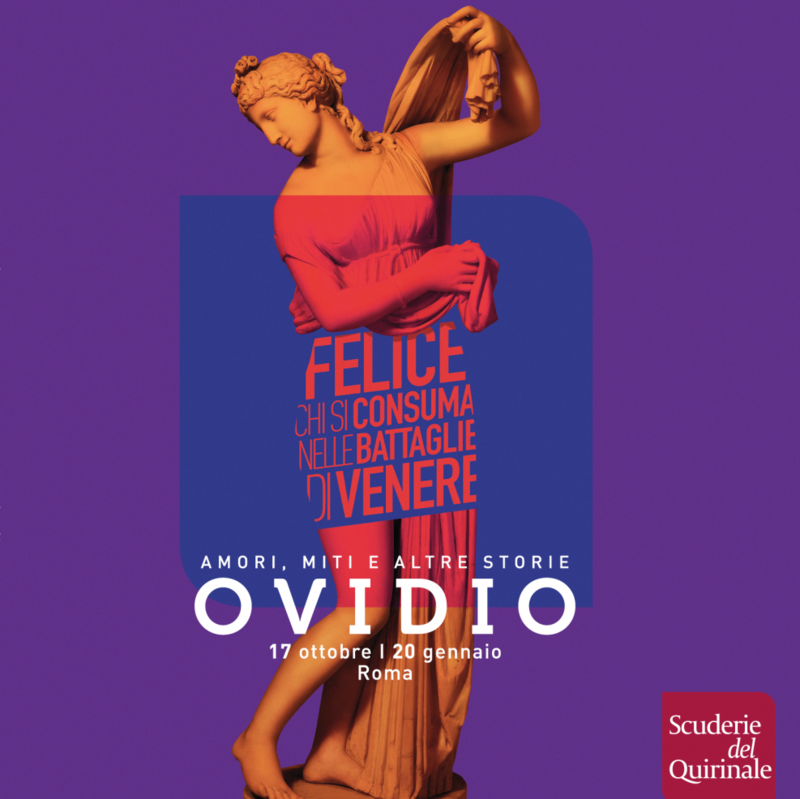 Myths and other stories on show in Rome at the Scuderie del Quirinale from October 17, 2018 to January 20, 2019 to celebrate the two thousandth anniversary of the death of the poet Publio Ovidio Nasone, who died in exile at Tomi, on the Black Sea, between 17 and 18 AD The exhibition presents to the general public the man and the poet: the man, who came into conflict with the emperor Augustus for political and moral reasons, and the poet, author of some of the most beautiful pages of love poetry and the most great fresco of classical mythology that antiquity has handed down to us. The works on display exceed 200 pieces and go from antiquity (sculptures, reliefs, frescoes, gems, coins …), to the Middle Ages (some of the most important illuminated manuscripts will be on show with illustrations of the various myths), up to great pictorial season of the Renaissance and the Baroque, with paintings by the greatest painters of the time. 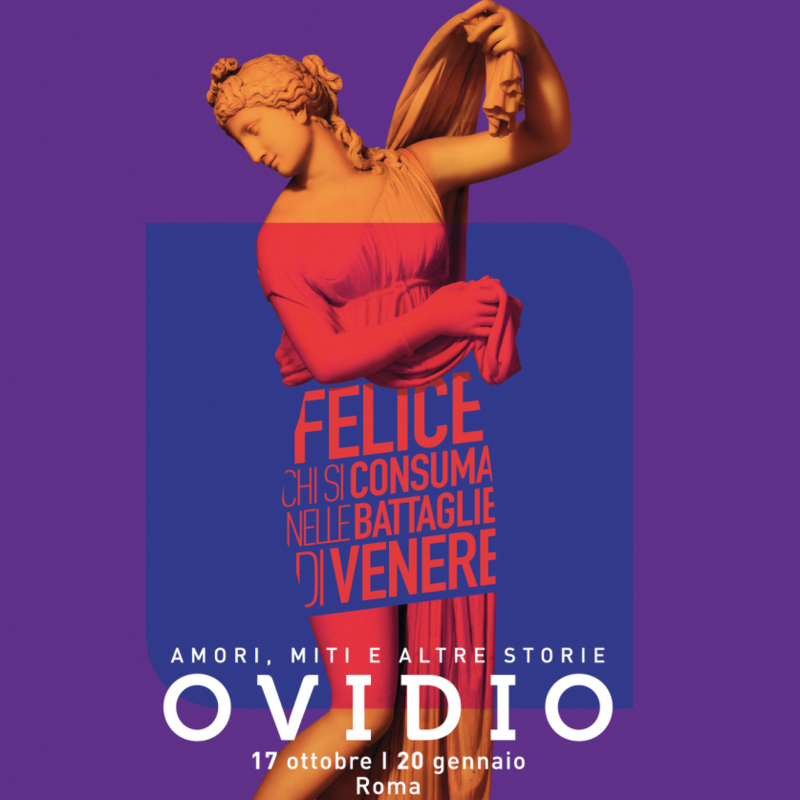 The exhibition, presented on the occasion of the Celebrations for the Ovidian Bimillenary and curated by Francesca Ghedini, presents the culture and society of the Rome of the early imperial age, reconstructed through the filtering of the Ovidian texts.